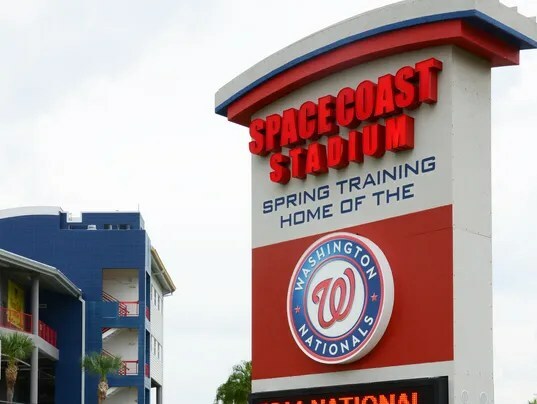 Thursday marks the first time this spring the 2015 Harrisburg Senators take the field against another squad when they travel to Kissimmee to face the Double-A Corpus Christi Hooks. Unlike Major League spring training, results and stats will remain virtually unknown and we won’t find out very much about these games. The team will return to Harrisburg on Tuesday, April 7, for Media Day and their first workout on City Island. Later that night, the Fan Club will host the team at their Annual Welcome Back dinner where manager Brian Daubach will formally introduce each player. Two days later, the Senators open the regular season at home against the Altoona Curve. This entry was posted in Uncategorized and tagged Corpus Christi Hooks, Erie SeaWolves, Harrisburg Senators, Mississippi Braves, spring training, Washington Nationals. Bookmark the permalink.